2001-2003 MFA (Sculpture), M.S.University, Baroda. 1996-2000 BFA (Painting), M.S.University, Baroda. 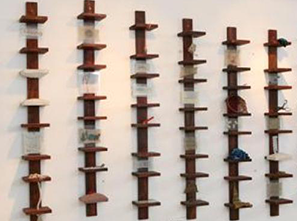 2009 Intertwinings, Vadehra Art Gallery,Okhla, New Delhi. 2006 Recent works at the Birla Academy of Art and Culture, Mumbai. 2010 “I Think, Therefore Graffiti…”, The Guild Art Gallery, Mumbai. 2010 Reverie, Chemould Prescott Gallery, Mumbai. 2010 Triad: Introspection, Observation and Tradition, an exhibition of Contemporary Indian Art, at Loveland Museum/Gallery, Loveland, Colorado. 2010 Bring me a Lion ; an exhibition of contemporary Indian Art, at Cecille R. Hunt Gallery, Webster University, St. Louis, Missouri. Curated by Jeffrey Hughes and Dana Turkovic . 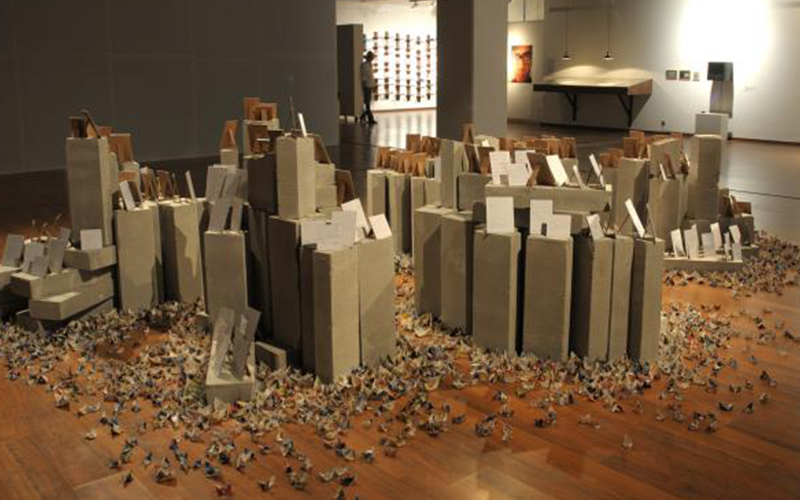 2009 Sculpture, The Guild Art Gallery, Mumbai. 2006 UNIDEE in residency, at Cittadellarte, Fondazione Pistoletto, Italy. July- Oct 2006. 2009 Review, Flash Art International, November-December 2009, Rajashree Biswal. Currently Working as a Guest Faculty at Fine Arts Department, S.N.School of Arts and Communication, Hyderabad Central University, Hyderabad, India. The artist lives and works in Hyderabad.